SALT LAKE CITY – Legislation seeking to repeal the death penalty in Utah died in the Utah House Thursday night in the final hours of the general session after legislators declined to hear it on the floor. “We’re done for the year,” Sen. Steve Urquhart, R-St. George, who authored the legislation, told The Associated Press Thursday. Called the Death Penalty Amendments, the bill survived a Senate committee and then the Senate itself in a 15-12 vote last week. It then squeezed by a House judiciary committee with a vote of 6-5 on Monday. However, the bill was ultimately held back from being heard on the floor Thursday. Urquhart ended up pulling the plug on the legislation hours before the midnight deadline that would end the 45-day legislative session. There ultimately wasn’t enough support among lawmakers to push the bill forward, Urquhart told The Associated Press. “When you’re ticking people off with your legislation, they don’t come your way,” he said. As it became move apparent the Death Penalty Amendments bill would not be heard, much less voted upon, the House was disrupted by a man shouting and protesting from the gallery. He turned out to be the older brother of a man who was executed in Utah by firing squad in 2010. The man executed was Ronnie Lee Gardner, and his older brother, Randy Gardner shouted, “Nobody has the right to do that to somebody. I don’t care who he is and what he did,” at the House, according to the Associated Press. While doing so, he unfurled a banner displaying photos of his brother’s post-execution autopsy photos. Gardner was removed from the Legislature by the Utah Highway Patrol. 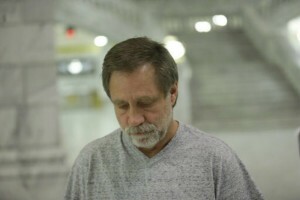 Gardner’s younger brother, Ronnie Lee Gardner, was executed in 2010 for killing a bartender and later shooting a lawyer to death and wounding a bailiff during a 1985 courthouse escape attempt. If the Death Penalty Amendments bill had passed, it would have put an end to capital punishment in Utah starting May 10 of this year. In lieu of the death penalty, individuals convicted of an aggravated murder charge would receive a sentence of life in prison without parole. Current death row inmates in Utah – nine in all – would carry out their sentences to execution. Arguments against the death penalty have included worries over wrongful conviction and subsequent execution and the price tag attached to keeping a prisoner on death row. Perpetuating the suffering of the victims’ families as they wait for final justice while inmates wait in prison for 20 to 30 years to fulfill their sentence also needs to end, death penalty opponents have argued. 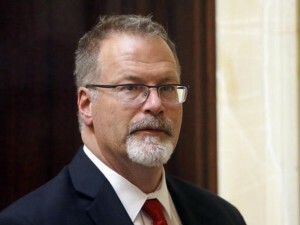 “Ultimately we have to put the victims first, and delayed justice – decades delayed justice – is not justice,” Sen. Daniel Thatcher said during one of the Senate’s preliminary votes on the bill. As to the price tag, Urquhart told the Legislature it costs the state up to $1.6 million annually to keep inmates on death row. This includes the cost associated with mandatory appeals attached to capital cases. However, supporters of the death penalty believe it is a strong deterrent and justice in the case of heinous crimes. It has not been confirmed whether or not Gov. Gary Herbert would have signed or vetoed the bill. He has previously stated that he supports the death penalty but only in rare and heinous cases. According to The Associated Process, the governor wouldn’t say if he would veto the bill if it passed. If the Death Penalty Amendments bill had passed the Legislature and survived the governor’s desk, Utah would have joined 19 other states and the District of Columbia in banning capital punishment. There have been seven executions conducted in Utah since 1977, according to the Death Penalty Info website. Ed. note: From Southern Utah, Urquhart voted for the Death Penalty Amendments bill in the Senate; Sens. Ralph Okerlund and Evan Vickers voted against it; and Sen. David Hinkins did not vote but had voted for the bill during the second reading phase of the Senate process. The bill did not come to vote in the House but Rep. Don Ipson, a member of the House Law Enforcement and Criminal Justice Committee, voted against it in committee. The Associated Press and St. George News Editor-in-Chief Joyce Kuzmanic contributed to this story.